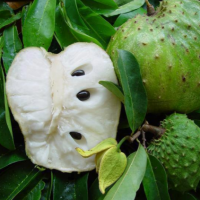 Often referred to as the fruit of life in the Caribbean. Besides being a cancer remedy, the soursop is a broad spectrum anti-microbial for both bacterial and fungal infections. The Soursop is effective against internal parasites and worms, lowers high blood pressure and is useful towards depression, stress and nervous disorders. This tasty and rare fruit is greatly valued all over the world. PRODUCT DESCRIPTION: Vietnamese crab rice noodle soup spice powder is a convenient product, which is full of spices, bring delicious flavor to noodle bowl, which is trusted by families as well as restaurants and cafÃ©s. Remarkable flavor, hard to forget. This product makes it easy to cook delicious noodle dish without losing much time. With this spice, make the crab noodle soup will be natural sweet, delicious attractive to the last piece. The product does not contain preservatives, made from natural materials, ensuring the health and safety of consumers. 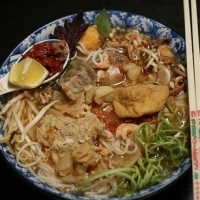 Use to make noodle soup Enhance the taste of noodles Food safety and hygiene Vegetarian can use Ingredients and uses: Salt, sugar, garlic, chili, tomato, tamarind, crab, Brings you delicious taste when you enjoy delicious food. Non-toxic chemical products, safe color for the user. User manual: Put 100g of Crab rice noodle soup into 3 liters of boiling water for 3 minutes, tasting for just eating. Storage: Store in cool, dry place, away from direct sunlight. Noodles Soup Spice Powder : Spicy beef noodle soup is a favorite of many people. Instead of going out to the restaurant, you can completely hand-make your own home cooked noodle bowls, ensure hygiene from the product cooked beef noodle soup. 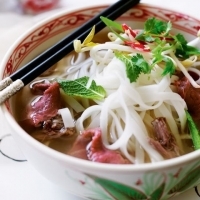 Besides the salt, main noodles, onions, products also have ginger, beef, pepper, help your bowl of pho delicious. In addition to pho, you can use this spice for the soup or to marinate the ingredients. Spices are small smooth, easily absorbed into the dish. Just give 100g of spice to 3000ml boiling water, boil for 2 minutes you have the perfect water. The product is suitable for housewives who have less time to cook food. 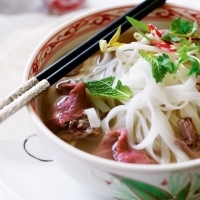 Ingredients: animal protein, vegetable protein, salt, main noodles, onion, ginger, beef, pepper Usage: Put 100g pho powder into 3l boiling water, boil for 2 minutes, use for 12 bowls of pho. Use as a synthetic spice to taste the food Storage: Store in cool, dry place, away from direct sunlight. Short on time? Let soup sellers contact you. Sauce & Seasoning Formula Canned Instant Red Curry Soup Canned Instant Green Curry Soup Canned Instant Yellow Curry Soup Canned Instant Panang Curry Soup Canned Instant Thai Massamum Curry Soup Canned Instant Tom Yum Soup Canned Instant Tom Kha Soup Packed size : 24cans x 400ml. 1,800 Ctns. per 20' FCL. 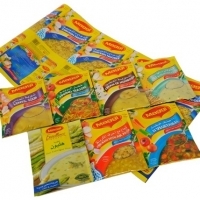 Tomato, lentil, chicken, noodle, broccoli, mushroom, in display 12 x 4 60 gr x 12 x 4. Savor the sweetness of corn and variety of vegetables in this sweet-tasting potpourri. Made with the quality corn and vegetables with their health benefits intact, the fusion will leave the taste-buds crave for more of this. Satiating recipe with the goodness of all vegetables that adds tremendous health value in each serving. Add to it the dash of sweetness which lifts up the flavour of the recipe making it a must have in homes. The tangy tomato treat that attracts everyone from kiddo to the elderly. With the ingredients of real tomatoes and complementing taste enhancers, it serves as a healthy and tasty snack as well as starter at the dinner table. AAA grade, big sizes, clean and process birdnest. TBC. We have swallow bird nest as below : RAW LIGHT-MED FEATHER - Bowl (Super) = USD 950 - Bowl (Reguler) = USD 875 - Triangle = USD 775 - Mesh = USD 700. CLEAN SWALLOW BIRD NEST - Bowl (Super) = USD 1,350 - Bowl (with light patch) = USD 1,200 - Triangle = USD 1,000 - Mesh = USD 900. Our supply capacity is 100kg/month (as count at 07-04-2012). Above Price is Type : FOB City : Medan State : Sumatera Utara Airport : Polonia Airport Seaport : Belawan Seaport. We will prefer buyer to come and see the goods before buying, as well as doing Cash On Delivery. Otherwise, we will not hold responsibility of any damage cause by shipment. We are looking for long term business, If you are interested, please feel free to contact us anytime. Packaging can be done by request. 200 kg per month. 100 nest per box. Selling raw bird nest from indonesia Raw full cup size Raw triangle size Raw broken . It is birdnest from house in Thailand. Mini order : 10 kg / shipment.